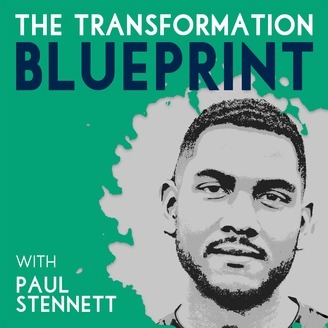 Paul Stennett hosts The Transformation Blueprint, where he interviews inspiring individuals making an impact each and every week, to extract the lessons and the tools you can use to make transformations in your own life. There are many paths to success folks, so let’s find yours together. On one of the podcasts I used to listen to (Open for Business hosted by John Henry) there was a particular episode that really inspired me. In it, he tells the story about 2 fishes swimming along their day. A big fish swims by and greets them “hows the water?” He says as he goes by. Afterwards, the 2 fishes, stunned, turn to each other and ask “what’s water?” That story pained a clear picture for me of the immigrant's advantage. Because they’re put into an entirely new situation and way of living, they have a unique eye for things natives only think of as the norm. That perspective was one of the huge benefits that got Egbert to where he is in his company Knightfox App Design here in Jamaica, and it’s one of the things I wanted to understand more, which is why he had to be on this podcast. His story was also interesting to me because he lived in several countries, but decided to put his roots here when many natives are looking for the first plane off this rock. If you’re as curious as I was, you’ll find a lot in this episode. Check out the show notes at http://ttb.show/egbert. 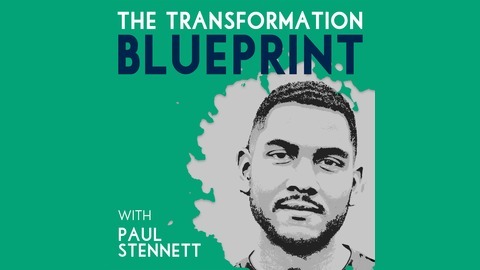 Paul Stennett is a Podcast Consultant and co-owner of a production company which helps coaches, consultants and experts create and grow engaging and profitable podcasts. As the host of The Transformation Blueprint podcast, his mission is to transform positive ambition into exponential growth. Through the podcast, he interviews inspiring impact makers to extract the lessons, tools, and experiences you can use to transform their future through entrepreneurship.